Despite of the increasing number of Japanese entrepreneurs in emerging countries, scholars in diaspora and migrant entrepreneurship have paid little attention to their business activities. It is still largely unknown, what make Japanese decide to leave their homeland which apparently offers favorable economic and political conditions and to take a risk to develop a new business in countries with lower economic standards, and what opportunities they identify in their special settings, and how they use their homeland resource to create economic and social values. This chapter presents three cases with Japanese entrepreneurs in emerging countries, Argentina, Philippines and Guatemala. The findings are analyzed based on the similarities three entrepreneurs share and differences between cases. These multiple case studies find out that Japanese entrepreneurs are unique in motivation and resource, while maintaining key diasporic characteristics. They are motivated by non-financial reasons and combine technology and ‘privilege’ ethnic resources in idiosyncratic manners. 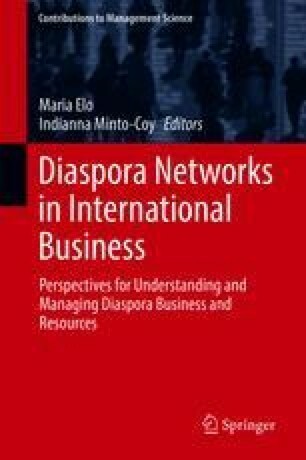 The findings and analysis of this chapter will provide the current research on diaspora entrepreneurship with future dimensions.